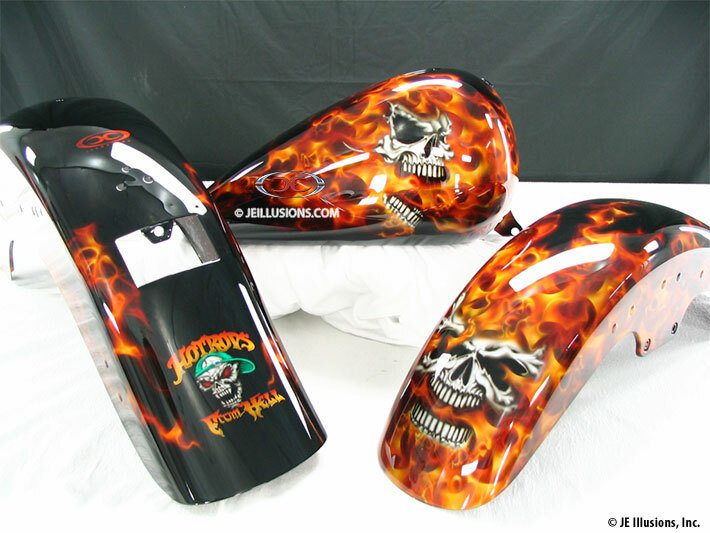 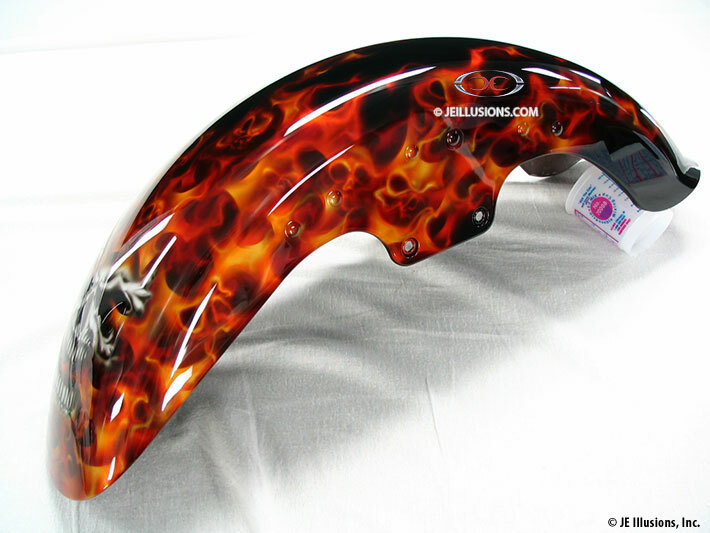 This set began as a true jet-black basecoat followed by layers of airbrushed realistic flame work. 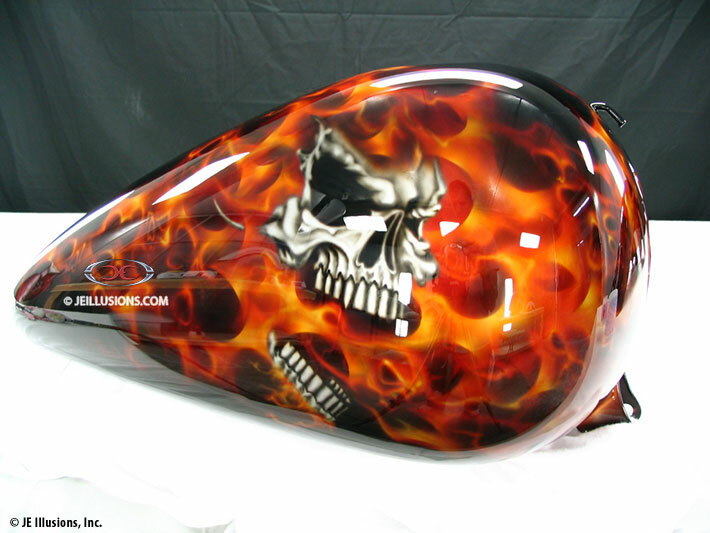 Clear coats seperate kandy color variances. 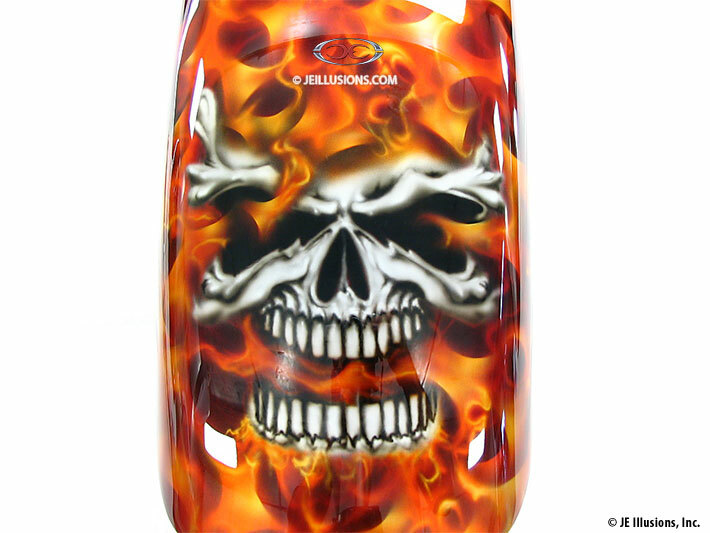 Detailed Skull murals were then airbrushed emerging out of the flames.